Use how you like when you like. Always Professional. Reliable. Discreet. You want to make the great first impression every time a customer reaches out to you, but sometimes you are just too busy to take a call, you are in a meeting or a member of staff is off sick, but those calls still need answering professionally and promptly. Does this sound like you sometimes..…all the time! Your answer maybe just to divert them to your trustee mobile or answering machine. There can be nothing worse or frustrating than a conversation over a crackly line with poor reception or getting through to voicemail. Sure you could probably return the call if the number is not withheld or they might be the minority who decide to leave a message. Chances are you will never know how many calls and new enquiries you have missed! A live phone answering service for small business could provide a seamless, practical and surprisingly affordable option for even the smallest of budgets to operate or for any busy office. 5 Top Tips how a Virtual Receptionist and Phone Answering Service could benefit your company! 1. Never miss that all important call again! You’ve completed your budget, your logo and your business cards look great, website and SEO check, Google Adwords done, marketing material and promotions sorted. Made arrangements to handle inbound calls generated from all of above….Naahhh! Studies have revealed that more than 75% of people do not leave a voice message and always prefer to talk to a real human on the other end. Using a Virtual receptionist service will mean you will never miss a call, even if you are out of the office or if all your lines are busy. Around 45% of all calls to small businesses go unanswered! This is key area a live phone answering service for a small business can really help you capitalise on your marketing campaign and create a seamless extension of your business, and keep your customers satisfied by providing an instant response every time they reach out to you. 2. Only Pay for the service when you need it. While an in-house receptionist must be paid for all hours they are onsite and on the job, a live telephone answering service is only paid for the amount of calls or time they spend on taking your calls on your behalf. By using a call answering service there is no need to worry about recruitment fees, salary costs, no payroll or PAYE, no employment contracts, no HR responsibilities, no workstation costs, no telecoms costs, no IT equipment costs, no software costs, no training costs, no lunch breaks or tea breaks, no fire drills, no sick days. No hassle! Making use of a phone answering service or Virtual Receptionist, as they are also known, is also a flexible way to support and bolster your existing team during busy periods, campaigns and promotions. When customers decide to call you can’t always be planned, so having a call overflow service in place enables you to handle those unexpected busy periods during the day with calls professionally answered every time. 3. An Extra pair of hands! Although a call answering service could not hope to perform all duties of someone working physically in your office, what they can do is maximise the full potential of your staff during busy periods, ensuring calls are always answered when clients need to be seen to or if lines are busy. 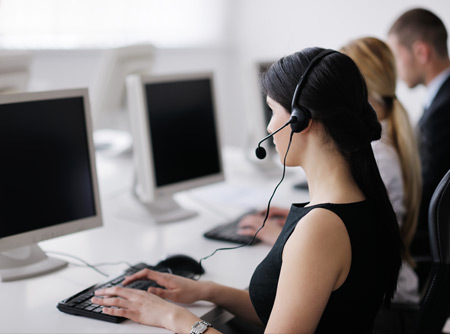 Your Virtual Assistant can also help with a range of customer service, secretarial and administration tasks, from booking appointments, telesales and canvassing to processing orders, handling customer queries and complaints, data entry and even processing credit card payments. Most Virtual Receptionist services, offer a free trial. We would really encourage taking up the Zoom Office free trial, what have you got to lose! It’s a chance for you to see how a telephone answering service could benefit your business and just how many calls and potential business you were missing when those calls had been going to your voicemail or your line was engaged. As a business owner or manager you and your staff are key to driving and achieving your business goals. If you were to add up all the constant interruptions from sales calls or non urgent calls, they can really start to absorb your time, and ultimately get you bogged down. By utilising a Virtual Receptionist service can free you and your staffs time to focus on their core duties and also keeps your customers satisfied by providing an instant response every time they reach out to you. Every time your virtual receptionist takes a message for you, you will be emailed a detailed message capturing all the details you require enabling you to return the call. What’s more frustrating than being interrupted while you are working on urgent matter? Using a Virtual Receptionist as a call overflow, you can confidently ignore calls, safe in the knowledge they will dealt with professionally. Enabling you to focus on the task at hand, and when you are ready you can manage and prioritise your call backs. 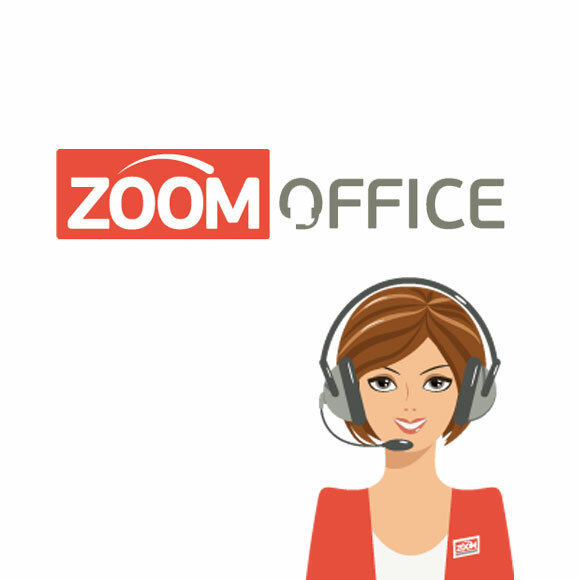 Call us on 01189 098 400 to discuss how Zoom Office can work for you! of your details below and we'll call you back. © Copyright 2019 Zoom Office.